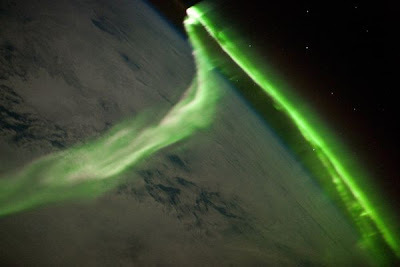 "During a geomagnetic storm, a neon green ribbon of aurora australis danced over Earth in this 2010 photograph taken by an astronaut on the International Space Station..."
"A magical variety of shapes and colors dance in the sky as solar wind buffets Earth's magnetic field. 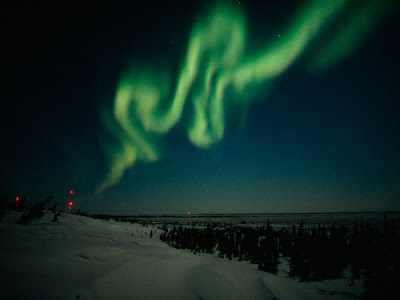 When the aurora peaked in the late 1980s, shows over Churchill, Manitoba, included a green ribbon and a rosy curtain." "...one of nature's most spectacular visual phenomena, and in this time lapse video they provide a breathtaking display of light, shape, and color over the course of a single night in Norway"